iPACT app: insight & download. Author: Make A Difference, Inc. Compatibility: Requires iOS 7.0 & up. The iPACT enables learners, of any age or any ability, to access curriculum content in a comprehensive app system of instruction – containing over 200 “connect-the-dots” UDL templates - directly aligned to each strand of the Common Core Standards. The built-in resource bank of Common Core Standards, Sample Learning Objectives, and Lesson Plan Goals are at your fingertips for each of the 200 differentiated templates to laser-focus your instruction. SIMPLE CREATION: CLONE & CONVERT INSTRUCTIONAL CONTENT IN SECONDS! Instructional staff and parents can transfer content from one activity to the next in literally seconds using the iPACT’s unique “clone” and “convert” capability to guarantee minimal content creation time and differentiate instruction. Learners can also easily use these features to set up and complete their assignments, transferring their content from template to template, to expand upon their work in this comprehensive app system. DIFFERENTIATE UP. DIFFERENTIATE DOWN. DEEPER LEARNING FOR ALL. Scaffolded language-based templates, text-to-speech, recording options, choose a picture, take a picture, enter text at varying text complexity levels, and more . . .
"You can easily differentiate your lessons using the iPACT, but the beauty of it is that the learners cannot SEE that you are differentiating! 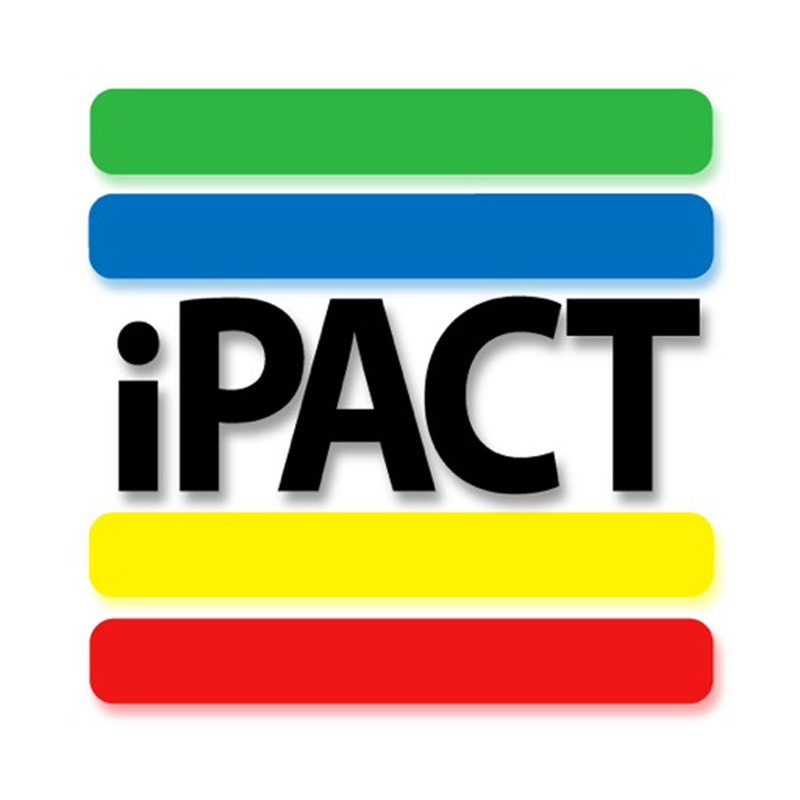 All students are engaged in every aspect of a lesson using the iPACT." 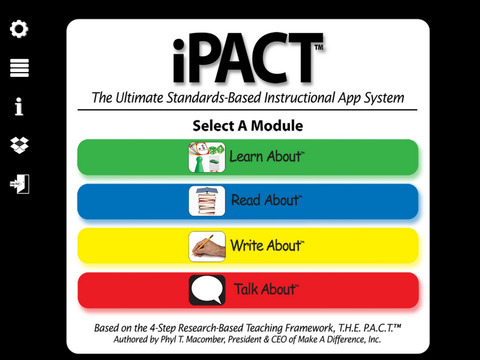 "The iPACT adds a whole new level of enthusiasm for learning because it literally can be used with the entire classroom of learners for any content area!" Effortlessly set up multiple users and save each of their preference profiles in the iPACT – change users with a 1-step finger tap! Build capacity in your district or agency and send your authored activities to ALL of your iPads by easily exporting and sharing. Learners can also use these features to hand-in any assignment.